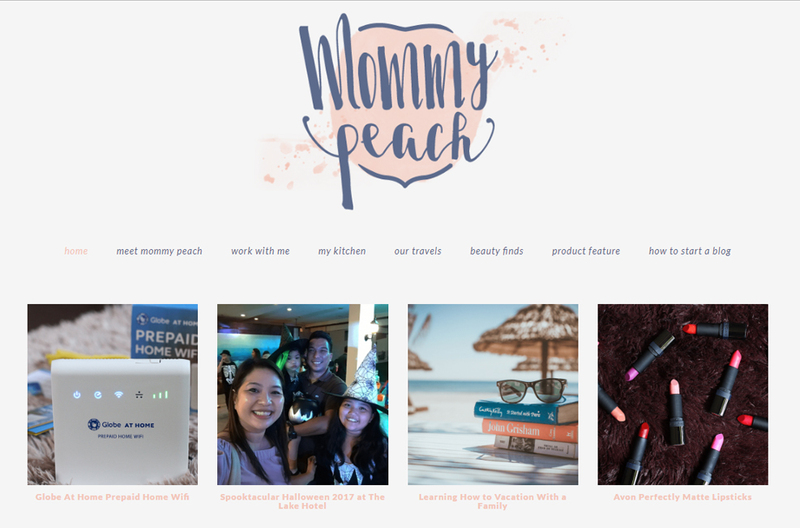 For us working Filipina mothers, blogs aren’t just a great form of entertainment but also a convenient method of learning. 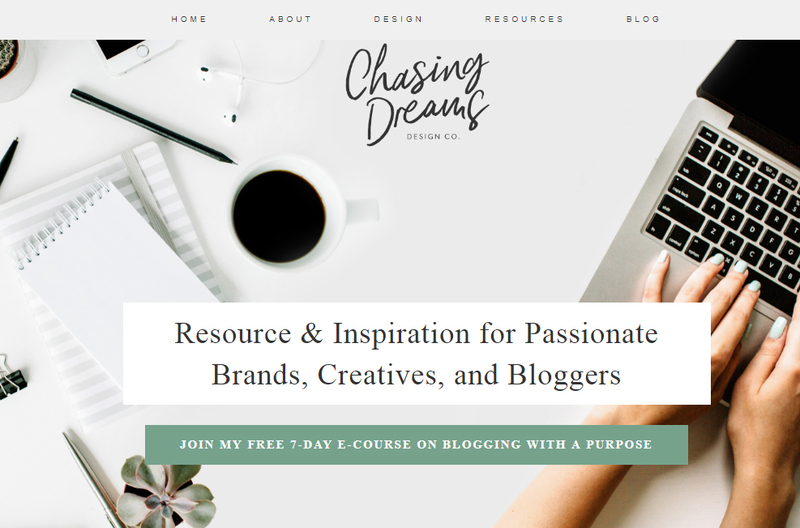 From mommy blogs, family blogs, style blogs, design blogs, cooking blogs, and all the other various genres of blogs that are out there, there is so much helpful, possibly life-changing knowledge made available to us online. Dive into this compilation of summaries and need-to-know information on a few delightful blogs! Mish Aventajado, a “Filipina American mom of four lovely beings, one of which has an extra chromosome. Living in Manila. Yogini. Teacher. New Yorker at heart.” as she describes herself on her Twitter account. What can you expect to read about? You want broad knowledge on a spectrum of topics. From special needs awareness to relationship advice to parenting hacks to exercise tips to food recipies to travel ideas to many, many more. This blog is filled to the brim with wisdom on a whole bunch of subjects that you will find relevant. Not only will it educate you with so much of what you need to know, but it also delivers enjoyable and entertaining insights as well. 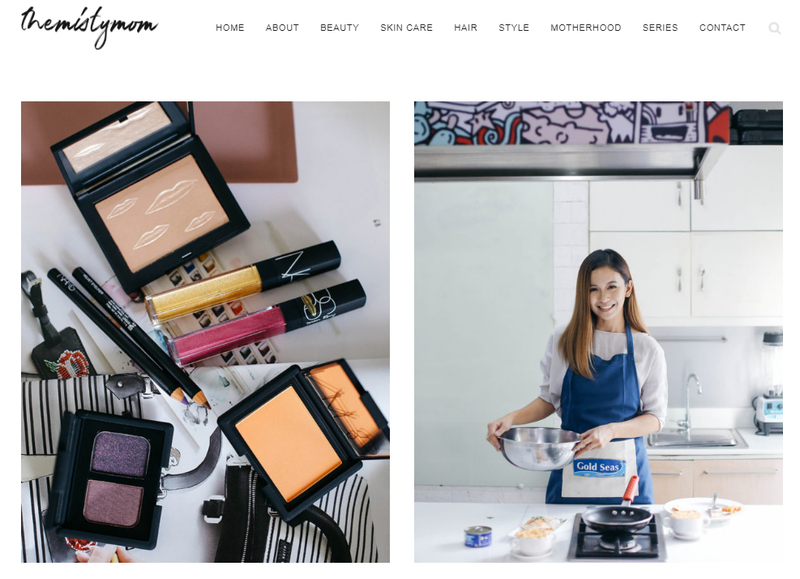 Sharina Macainag, a “beauty junkie preposterously attracted to makeup and skincare”. What can you expect to read? Articles of tutorials, item unboxings, and features on topics such as beauty, makeup, skincare, hair, style, fashion, and motherhood. She also writes a monthly series of blogs on her favorite products, both beauty and non-beauty alike. You want to up your style game or stay up-to-date with the latest fashion, makeup, and hair styles. This blog is yet more proof that having children doesn’t mean you can’t keep up with your own style. It’ll inspire you to put together a great #OOTD, try out a new haircut, get the best products for your face and skin, and commit to many more aesthetic-related upgrades. Your kids will be amazed! Who says moms can’t have great style? Peachy V. Adarne, “a mom to two daughters, wife to a loving husband, foodie by heart, a coffee lover and a froyo and yogurt junkie, and a law enforcer by profession”. 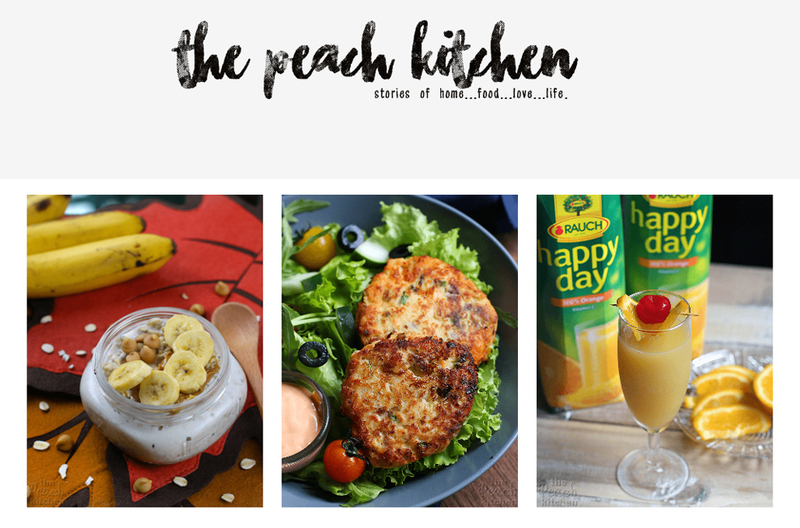 Bonus blog: The Peach Kitchen (thepeachkitchen.com) Peachy’s foodie blog! You’re interested in anything food-related. Whether you often wear an apron or not, this blog has a little bit of everything for everyone. There’s a ton of delicious dish recipes and handy kitchen advice for those who like to cook, but there are also new and exciting restaurant and product features, helpful diet tips, health hacks, and more. Take your pick, you’ll definitely find something that’ll pique your interest! Rhiza Sanchez-Oyos, a “wife, mom, blogger, and dream chaser” who is a “self-taught Web Designer and Front-end Developer too”. What can you expect from the blog? Energizing articles focused on stories about her “family, marriage, life, dreams, and faith”. You want to be creatively stimulated. If your mind is ready and willing to be filled up with inspiration of all sorts. Whether to broaden your imagination so you can start up a new project, or to strengthen your motivation so you can continue striving on what you’re working on now. This blog will light a fire in your head, causing your creativity to intensify. So, there you have it! 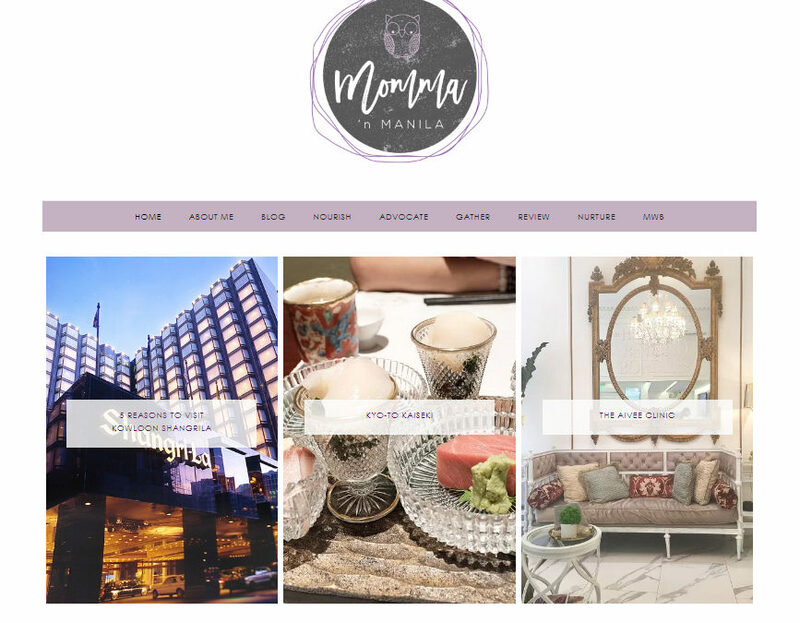 Of course there is still a multitude of other wonderful blogs out there, but this is just a hand-picked variety of some of the ones suited for working Filipina mothers like us. As you can tell, following these blogs are an enjoyable and convenient way of discovering new tricks in the kitchen, fresh outfit and makeup styles, up-to-date tips on motherhood and so much more. When you find some time—maybe when the kids are at school or you have a few free minutes at work—go check them out. After all, it would be a waste to miss out on what these powerful women and their inspiring blogs have to offer! The Securities & Exchange Commission (SEC) has suspended the Certificates of Registration of at least 84 credit and lending companies pursuant to SEC Resolution No. 174, dated March 7, 2017. It may be recalled that the SEC has undertaken severe measures against the proliferation of “informal lenders,” or persons who engage in lending without primary registration (of incorporation) and secondary license (to extend loans to the public) from the SEC. Under the Lending Company Regulation Act of 2007, or Republic Act No. 9474, it is illegal to act as a lending company or lending investor unless the entity registers as a corporation and secures a license to operate as one from the SEC. The public is enjoined to get in touch with the SEC for any information concerning persons and entities engaged in illegal lending. You may call the Corporate Governance and Finance Department at (02) 818-5476 or 818-5516, or make an online report through the i-Message Mo on the Commission’s website. For the complete list of entities with suspended registration, click here. The Department of Trade and Industry (DTI) has launched its first Go Lokal! store in Robinsons mall and plans to open a similar outlet in SM. On March 24, DTI opened in Robinsons Place Manila its initial Go Lokal! store, a public-private collaboration between the agency and local retailer partners. Go Lokal! 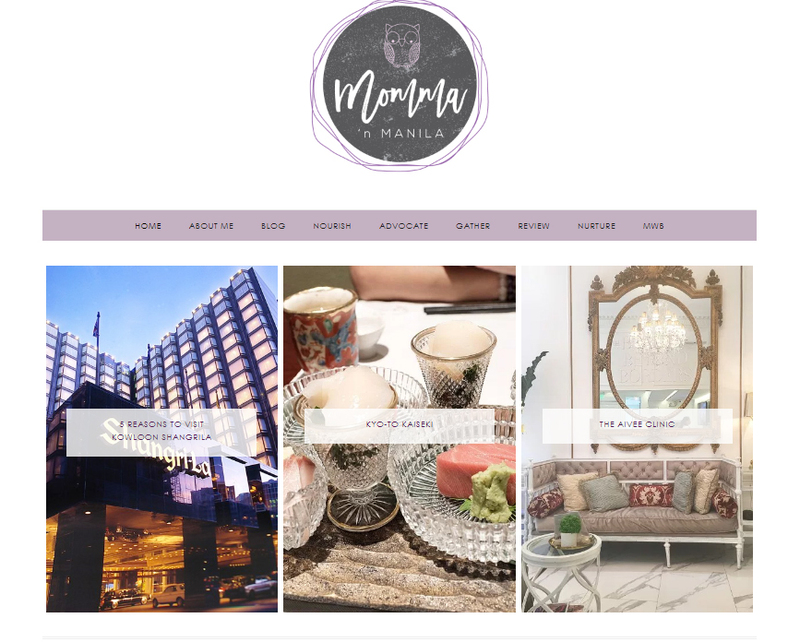 is a design-based concept store and market platform showcasing modern and indigenous quality products crafted, designed, and created by Filipino micro, small, and medium enterprises (MSMEs). The market platform is set to revolutionize the way hard-to-find and artisanal Filipino products are sold in the local market by bringing together a specially curated lineup that includes food products, apparel, accessories, home décor, gadgets, and gift items. Trade Secretary Ramon Lopez said that aside from providing market access for MSME products, Go Lokal! is a venue for new entrepreneurs to test the marketability of their products without fear of losing on rental and commercial costs because their Go Lokal! experience is free of charge. “Ultimately, it’s all about accessibility and opportunity for MSMEs, both of which you need to be successful in retail. Go Lokal! is one way for DTI and Robinsons Department Store to give assurance to these business owners that they have support from both the government and the private sector so they may profit from ventures that they are passionate about,” Robinsons Department Store president and COO Robina Gokongwei-Pe said. Also on March 24, DTI signed an agreement with Kultura, the country’s largest retailer of homegrown products, to open a Go Lokal! store in SM Makati. Kultura’s Go Lokal! store opens in April at the second level of SM Makati and will run throughout the year. “Kultura and Go Lokal! are complementary avenues to help our local MSMEs gain retail foothold in the Philippine domestic market. We are pleased to open a Go Lokal! together with Kultura as a testament of our collective thrust of inclusive growth and development of our MSMEs,” said Lopez. “Kultura has become a showcase of local artistry and craftsmanship and furthers its advocacy by partnering with the DTI for its Go Lokal Project, providing a venue for the distribution and promotion of products sourced from MSMEs,” said Ivy Frances Yap, Kultura’s senior vice president for operations. In line with the Philippine administration’s agenda of accelerating the growth of micro, small, and medium enterprises (MSMEs), Trade Secretary Ramon Lopez has announced the nationwide schedule of the Kapatid Mentor ME for 2017. The Kapatid Mentor ME Program aims to assist MSMEs scale up and sustain their businesses through weekly coaching and mentoring by business owners and practitioners on different functional areas of entrepreneurship. It is a joint program of the Department of Trade and Industry (DTI) and the Philippine Center for Entrepreneurship-Go Negosyo. “With our strong desire to help the country’s MSMEs and provide jobs to Filipinos, DTI and PCE-Go Negosyo conceptualized the Kapatid Mentor ME Program to serve as the entrepreneurs’ guide to a globally competitive enterprise,” Lopez said. The trade chief, as chair of the ASEAN Economic Ministers’ Meeting and Related Meetings, continues to champion the MSME development thrust at the meeting with his fellow ASEAN economic leaders, bringing the national priority to the regional agenda. The Kapatid Mentor ME sessions kicked off March 8, 2017 in Catbalogan, Samar and will run in 89 areas in 16 regions throughout the country until the end of the year. The 11-week program will have weekly modules such as Marketing, Financial Management, Human Resource Management, and Operations Management, among others. On the 11th week, the mentee is required to present his or her business improvement plan, incorporating the learning from the lectures and mentoring sessions. To qualify as a mentee, the entrepreneur should be a business owner or manager of an enterprise with an asset of P3 million and below, operating for at least one year. “To help address poverty, we are consistently determined to produce more entrepreneurs, as well as generate more jobs for Filipinos,” Lopez said. To get more information about the Kapatid Project and view the Kapatid Mentor ME Program Schedule for 2017, click here. You may also visit the Negosyo Center nearest you for training programs. The Asia-Pacific Economic Cooperation (APEC) is leading the drive to help more women entrepreneurs in the region, including those in the Philippines, gain entry into the global marketplace. Small business promotion authorities from APEC member economies are taking the next steps to ease bottlenecks hindering women-led exporters and their growth and job-creating potential in the Asia-Pacific, the APEC Small and Medium Enterprises Working Group said in a statement. The group detailed plans to expand efforts to tackle gender bias in trade during recent meetings in Sydney, Australia. These include greater cross-border training and technical exchange to enable reforms that aim to level the playing field for women-owned and managed firms in APEC economies, and improve their access to international markets. 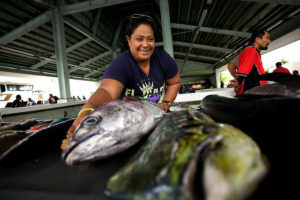 “The move could increase trade-driven growth and job creation across a range of businesses—from a successful hand-loomed fabric producer run and operated by women in Philippine villages, to an emerging technology company started by a Peruvian woman that helps disabled people to communicate via instant messaging, to women-managed suppliers of materials and parts in Viet Nam that support manufacturers in Australia, Japan and the United States,” said the statement released March 22. “APEC economies are deepening cooperation to break down barriers to the development and competitiveness of women-led businesses,” explained Nguyen Hoa Cuong, chair of the working group. “Our work to address inequalities facing women entrepreneurs and managers stands to boost trade and growth, particularly among small businesses that account for the majority of employment across the region,” noted Nguyen. The focus is on lowering institutional and policy barriers to participation in trade by women-led businesses. Examples include outdated labor laws that fail to sufficiently protect women, a lack of childcare services, limited availability of credit, and inadequate or out-of-reach higher education and skills development opportunities. To address these challenges, APEC is increasing public sector capacity to introduce gender-responsive trade promotion policies and programs, in coordination with the business community and civil society. Training and information-sharing sessions for trade promotion officials, to be held next month in Ha Noi, Vietnam, will take this multi-year, region-wide initiative forward. This work is complemented by measures taking shape in APEC to widen access and use of e-commerce by women-led micro, small, and medium enterprises, helping them reach customers and business partners abroad. Opening up financing avenues, branding, intellectual property protection, and management support are further areas of emphasis. “Women in the Asia-Pacific are major drivers of small businesses with great exporting potential but may be constrained by unsupportive economic and social policies,” said Hoang Thi Thu Huyen, chair of the APEC Policy Partnership on Women and the Economy. The Philippines is one of the top countries in the world in terms of the proportion of women holding senior management positions in business, according to a new global study by international professional services firm Grant Thornton. Women business leaders account for 40% of the members of senior management teams in the Philippine corporate world, earning recognition for the country for its embrace of diversity, said the 2017 study entitled “Women in Business: New Perspectives on Risk and Reward,” released this March. Along with the Philippines, receiving top marks as well for diversity in the workplace are Russia (with 47% of senior business leaders being women), Indonesia (46%), Estonia (40%), Poland (40%), and Lithuania (37%). But in some nations, prospects for women in business are less bright. Among those cited for having male-dominated senior management teams are Japan (only 7% are female), Argentina (15%), India (17%), Germany (18%), Brazil (19%), and the United Kingdom (19%). Globally, the report said, women now hold 25% of senior management roles at companies. This, however, is up by just one percentage point from 2016 and an improvement of only 6% since research began in 2004, Grant Thornton said in the report issued in conjunction with International Women’s Day. On the other hand, the percentage of companies that have no female participation at senior level rose by a percentage point in 2017 to 34%. “Globally, one in four senior roles is now held by a woman. This is a slight increase from last year. But the proportion of businesses with no women in senior leadership positions has also risen,” said the report. Once again, it added, developing countries are leading the charge on diversity, with many major economies continuing to lag behind. The Association of Southeast Asian Nations, or ASEAN, is the most diverse, with 36% of females in senior business posts, up from 34% in 2016. In contrast, developed Asia-Pacific has a staggering 54% of business that had no women in senior roles, compared to only 13% of companies that did. In terms of senior management roles, 23% of human resources directors worldwide are represented by women in 2017, unchanged from 2016. Female chief financial officers comprise 19% of total CFOs, down from 21% in 2016, while women chief executive officers rose to 12% this year from 9% last year. Meanwhile female chief operating officers in 2017 are recorded at 9% from 8% in 2016; chief marketing officers have an 8% share of total CMO posts, a decline from 11% last year; corporate controllers 8% from 10%; and sales director 6% in 2017, a pullback from 8% in 2016. According to the annual report, geopolitical and macroeconomic uncertainties are pushing diversity down the list of priorities for companies. “Leaders are concerned with reducing costs and retaining talent, relegating diversity to a nice-to-have rather than a must-have,” it noted. The study said more needs to be done to level the playing field for women at all levels of the corporate ladder, emphasizing that diversity is key to business success. “Diverse teams benefit from connections to a wider network, increased legitimacy among stakeholders and better decision-making,” said the report. It recommended steps to have more diversity in leadership roles, such as implementing organization-wide changes, creating conductive environments, and sponsoring more women to climb the corporate ladder instead of only offering mentoring. The findings for the 2017 report were based on a survey of 5,500 businesses across 36 countries conducted between July and December 2016.